A great choice of house situated on the popular residential area of the Castles. This three bedroom semi detached house offers lounge, kitchen and dining room with access to the rear garden. Whilst local shops and schools are with easy reach. Local transport is available to both bus and train stations with links to London Euston. This property is offered with NO UPPER CHAIN. Two frosted double glazed windows to front aspect. Stairs to first floor, radiator, doors to lounge and kitchen. Double glazed window to front aspect. Gas fire, television point. Sliding patio door to garden, radiator, through to kitchen. Double glazed window to rear aspect. 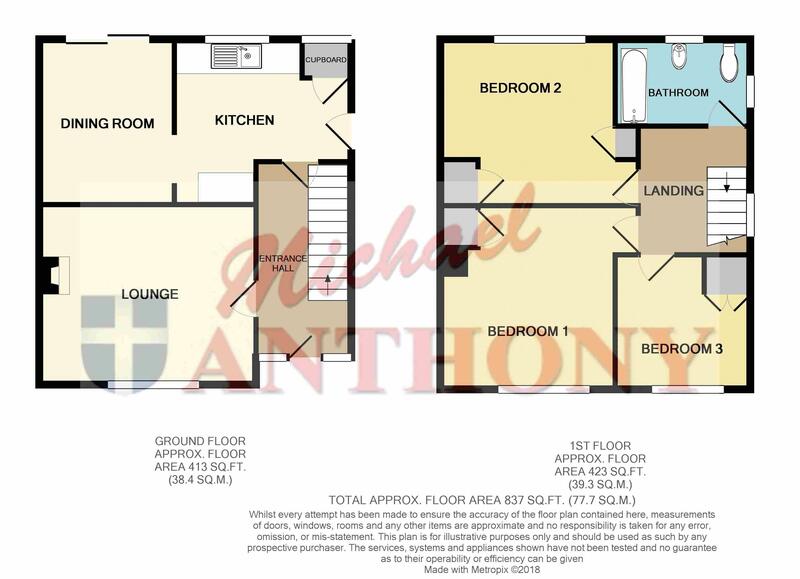 Range of base and eye level units with roll top work surface over, space for cooker, washing machine and fridge/freezer, stainless steel sink unit, wall mounted boiler, through to dining room, door to alley. Double glazed window to side aspect. Access to loft space, doors to bedrooms and bathroom. Double glazed window to rear aspect. Radiator, two storage cupboards. Frosted double glazed windows to rear and side aspects. Radiator, low level w.c. vanity wash hand basin, bath with power shower over, part tiled walls. Mainly laid to lawn, block paved driveway providing off road parking for two cars. Mainly laid to lawn with patio area, mature trees, enclosed by wooden fencing panels.